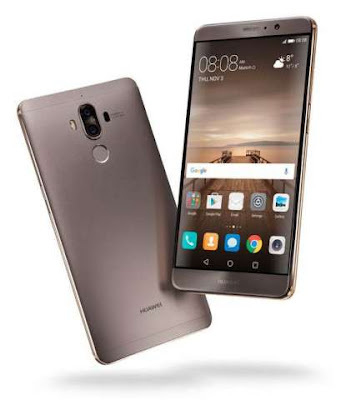 The Huawei Mate 9 which was released late last year turned out to be one of the most powerful among android Smartphones. It has one of the most fastest mobile processors which can only be compare to the not yet released Qualcomm's Snapdragon 835, and UFS 2.1 standard memory. Additionally, the Mate 9 implemented a number of innovative technical solutions, including those developed by the company Huawei. We have decided to examine this flagship device and give you nine interesting facts that you might not know. The kirin 960 inside the Huawei Mate 9 is the world's first commercial processor that has eight cores ARM Cortex-A73 / A53 and eight-GPU. The processor provides impressive multi-core performance while reducing power consumption by 15%. Also, compared to its predecessor it offers a 180% increase in GPU performance, and 20% improvement in energy efficiency. Kirin 960 has been confirmed to fully support the new Vulkan graphical standard for Android 7.0, it can boost up graphics performance up to about 400%. Vulkan API overcomes the limitations imposed by the CPU to the GPU performance, improving output and performance with rendering. The Coprocessor i6 used in production of Kirin 960 uses big.LITTLE architecture - in order to allocate different resources to more productive core of Cortex-A73 and weaker task to the Cortex-A53. i6 operates with light tasks, when the main processor is not enabled, which allows the smartphone to work effectively all the time and consume little power. This prolongs the smartphone usage time , for example, when using GPS-navigation. Fact 4: The first Huawei processor with support for global mobile networks. It has the first processor with support for all global frequency bands and mobile communication standards, including GSM, UMTS, CDMA, TD-SCDMA, TDD-FDD-LTE Cat 12/13, which allows to download data at speeds up to 600 Mbit / s. It also supports 4x4 MIMO technology, providing faster and more reliable connection with the possibility of simultaneous four data streams transmission. It is equipped with fast charging technology with Super Charge. A 20 minutes of charging is enough to power-up the smartphone for the whole day, and 10 minute charging provides enough battery power to watch two movies. The charge controller monitors the real-time voltage, current, and battery temperature, thus eliminating any danger to the user and extend battery life. It also comes with USB Type-C and SuperCharge universal adapter connector. Fact 7: It has a dedicated processor for calculating the camera depth of the scene. The Dual Camera with F / 2,2 diaphragm can produces bokeh effect, like "Professional" cameras. Also, this smartphone has a dedicated processor that computes the depth of the scene and to distinguish objects in the foreground, middle and background. Most smartphones uses software filters for converting a color image to black and white. The Huawei Mate 9 has a monochrome 20 megapixel sensor that captures an image directly into shades of gray, with no loss of information due to color filters. This increases the clarity, contrast and expands the dynamic range of black-and-white photos. EMUI 5.0 uses machine learning algorithms to evaluate the behavior of applications installed, memory usage, user interaction with the smartphone - and applies the data to optimize performance.